One would think it was the man I was dining with, for whom I had long harbored a lusty infatuation. Akin to that of a school girl crush, delusional, sweet, full of romantic idealism. However the four days spent in Berlin together, while fun filled, served in finally putting to bed what had previously been a pedestal placed fantasy. So it wasn’t the guy on this chilly February morning whom I sat across from in a homespun cafe of Berlin that had me going. It was the French toast. The bread, fluffy and moist, with the lightest touch of sweet. Fork sinking into its pillowy surface, dusting of powdered sugar surrounding. A pile of jewel-toned berries sitting atop a cloud of Greek yogurt alongside. Crumbled nuts scattered about the ensemble, completing the edible work of art. Served up on a cutting board, adding rustic warmth to the presentation. The yogurt with a hint of vanilla flavoring. Lovely in combination tasted alongside the tartness of blackberries and Johannes berries, perfectly offset by the textured addition of crunchy nuts. Pears laid atop the toast were warm, juicy, and ever so slightly grainy. Tender and cinnamon-y. The whole thing looking like a from-the-forest, snow dusted, of-nature, scrumptious treat. The drinks served in mason jars. Cakes displayed atop small wooden cutting boards lining the counter. Surrounded by a thicket of piney looking sprigs, dusted in powdered sugar, topped with a plethora of mixed berries. Desserts from a wintery forest dream. The espresso art is impressive, eye-catching and elegant. Mugs are earthy, heavy in one’s hand, comforting. Breakfast platters served up on cookie sheets boosting a shimmering explosion of black beans, a scattering of seeds, various vegetables stacked about with dewy, glistening fried eggs laid at their peak. Unable to decide if dining inside a desert ranch, farm, or a Californian green house, I settled on the space being a combination of the three. The vibes inside evoking images of Bob Dylan, Led Zeppelin and the Stones twanging away on their guitars. Steaming mugs by their side, smoke curling from the cigarette unquestionably dangling from lips. A cafe reminiscent of campfires, hipsters, too cool artists, 1970s California, and the balmy air of carefree summer nights. Vines and plants hung from the ceilings, some cascading down the walls. The interior heavily wooded, sparsely furnished, cramped, like something of a slightly ramshackle cabin. My companion and I were unable to contain ourselves, oohing and ahhing over the edible masterpiece placed before us, giving way moments later to an awe inducing eating experience. The taste thankfully living up to its visual promise. 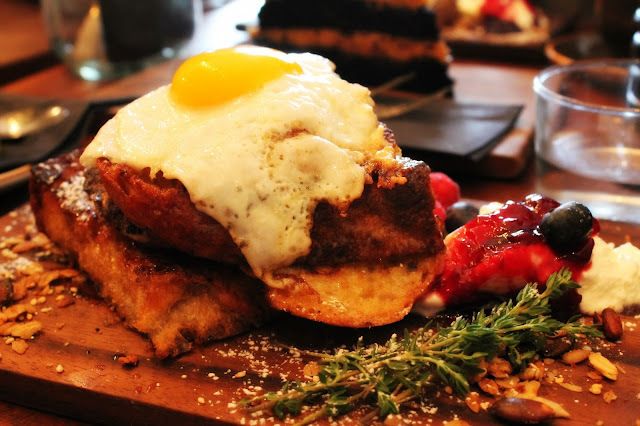 From the moment of placing forkful to mouth, resigning myself to the fact that Roamers had cemented itself into memory as a place in which brunching dreams are created. I imagine breakfast lovers will agree with the sentiment that a treasure trove of moments and dishes occupy the mind of all legitimate enthusiasts. At the forefront of this cherished Filofax, unquestionably the food. Glorious mile high towers of buckwheat pancakes in a plethora of flavor combinations. Matcha with raspberries and chocolate chips, an oatey pumpkin, and lavender with blue or blackberries, to name a few. 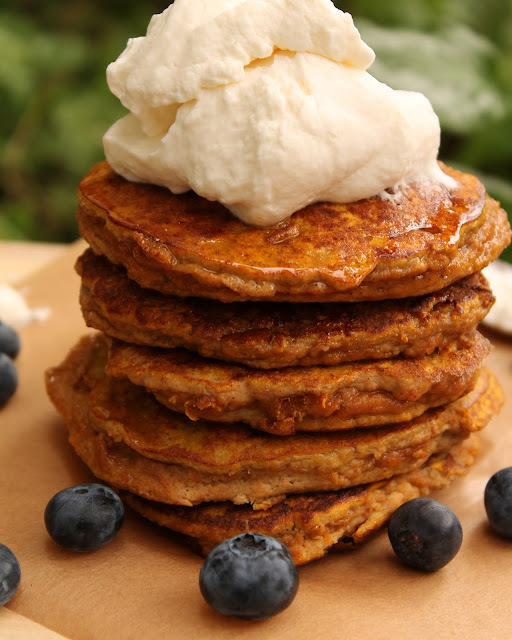 Pumpkin Oat Buckwheat Pancakes- get the recipe here. 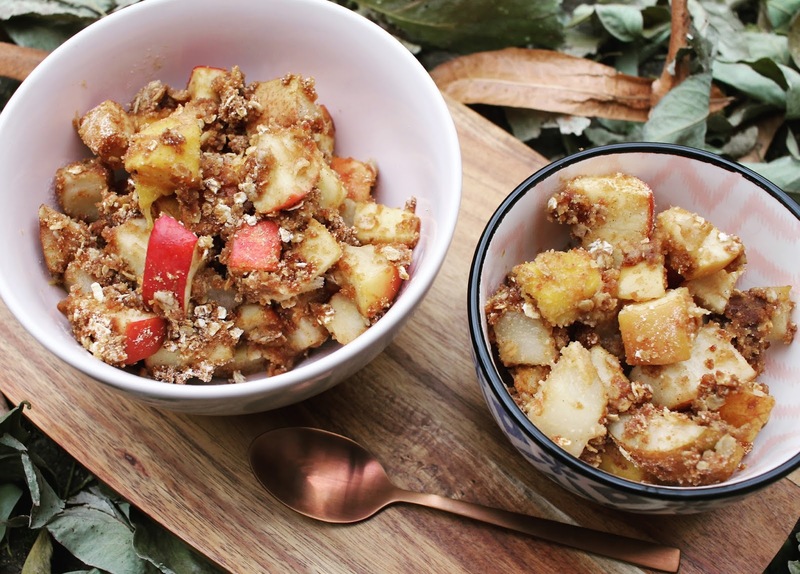 Mango, Pear and Apple Crumble- get the recipe here. 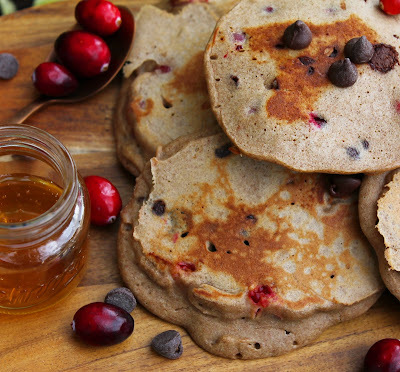 Cranberry & Chocolate Chip Buckwheat Pancakes. Matcha Blueberry Chia Chocolate Chip Pancakes. Here's how to make them. Other brunching requisites including eggs, whether fried, scrambled, over easy, benedict, you name it. Toast swiped in a sheen of butter and vivid jam. Oatmeal, hearty, filling, sprinkled with cinnamon and ginger, a swirl of pumpkin stirred in. Bacon, crisp, topped with the slightest hint of grease. French toast, fluffy, sweet, drizzled in syrup, capped with a tumbling hill of fruit. Bowls of jewel colored berries. Crepes, paper thin, light as air, ideally with a layer of cinnamon and sugar sprinkled inside, then folded over and eaten warm. This sweet treat resulting in a mouthful of fluffy, chewy, ever so slightly crunchy deliciousness. 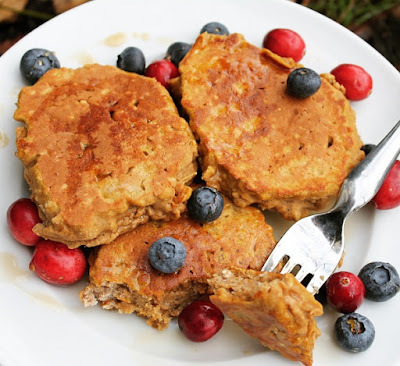 Coconut Tumeric Pancakes. Grain/dairy/sugar free, and SO good. Here's how to make them. Get glowing with these power muffins, loaded with good for you ingredients and super easy to make. The best, these Moody Berry Buckwheat Pancakes. Here is the recipe. 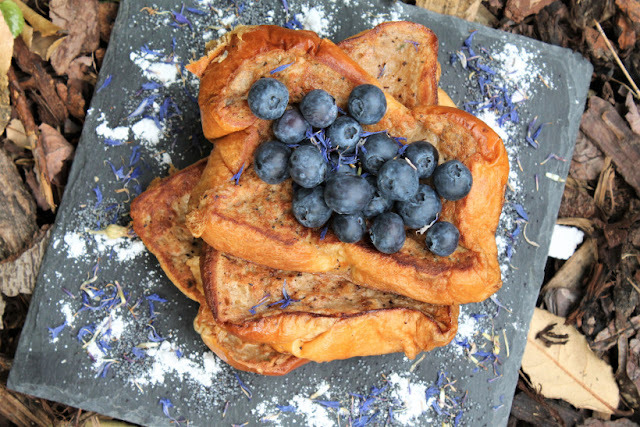 Make this Edinburgh Mist French toast here. Brunching dreams are made of the particularly unique, memorable tea you might have once sampled in some far flung, romantic locale. Green tea, earthy, with surprising hints of rose, glimmers of floral notes sneaking their way out as you sip and smell. An especially thick, plush, light-as-air slice of brioche covered in butter and raspberry jam. 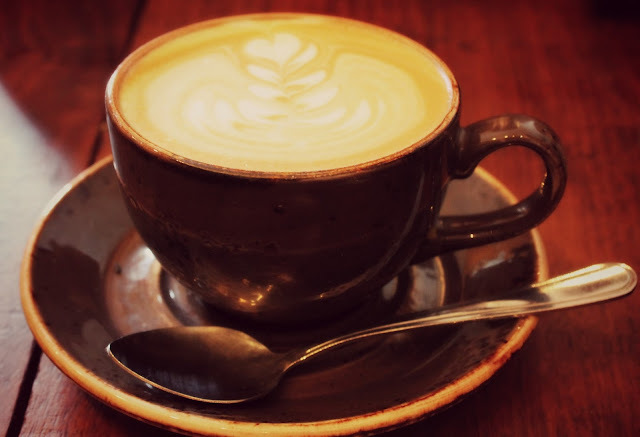 That perfectly brewed, rich smelling, high quality Italian coffee you tasted. The curved, narrow streets I sat alongside in Stockholm, Sweden while enjoying this incredible Rose Green tea. For details and loads of photos on the experience in Stockholm, click here. But then, the spaces between noteworthy noshing moments are colored in with either memorable breakfast companions, a particularly awesome atmosphere, or the unforgettable story entwined. Brunch is late nights and mornings after. 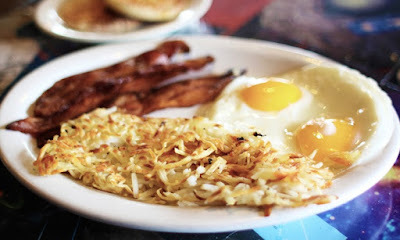 Recounting said nights in blissful exhaustion or a hangover induced haze over pancakes, eggs and something hot to drink. Brunching is laid back, lazy Sundays. Its breakfast in bed. The meal punctuating weekends between lovers. It’s a picnic in the park or a walk, hand in hand, to your favorite breakfast joint. Breakfast in the park being one of the best locales for brunching. Soft blanket spread atop the grass. Containers laid open displaying creamy swirls of Greek yogurt laced through with honey. A stack of raspberry chocolate chip pancakes. A huge pile of mixed fruit. It’s also the mug in hand while lying by the lake. The glassy expanse stretching endlessly in front of you, with book in hand and snack on the side. Brunch is luxurious and romantic. 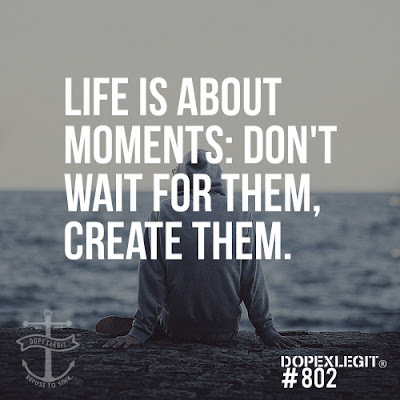 It’s both a meal and moment, setting the tone for that day. 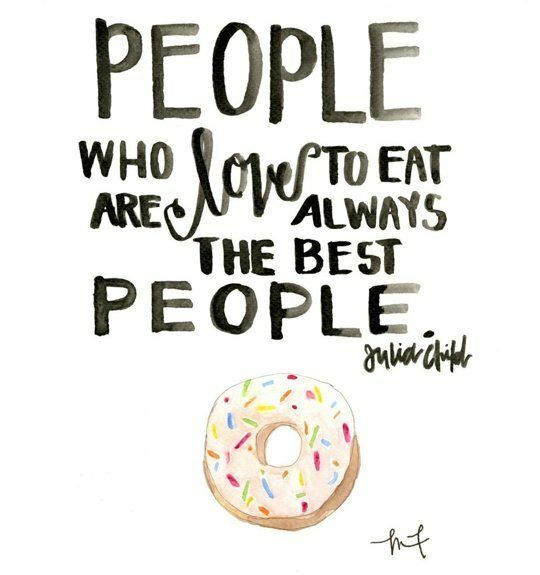 So while brunching is first and foremost about the food, it’s not just about what’s being eaten. 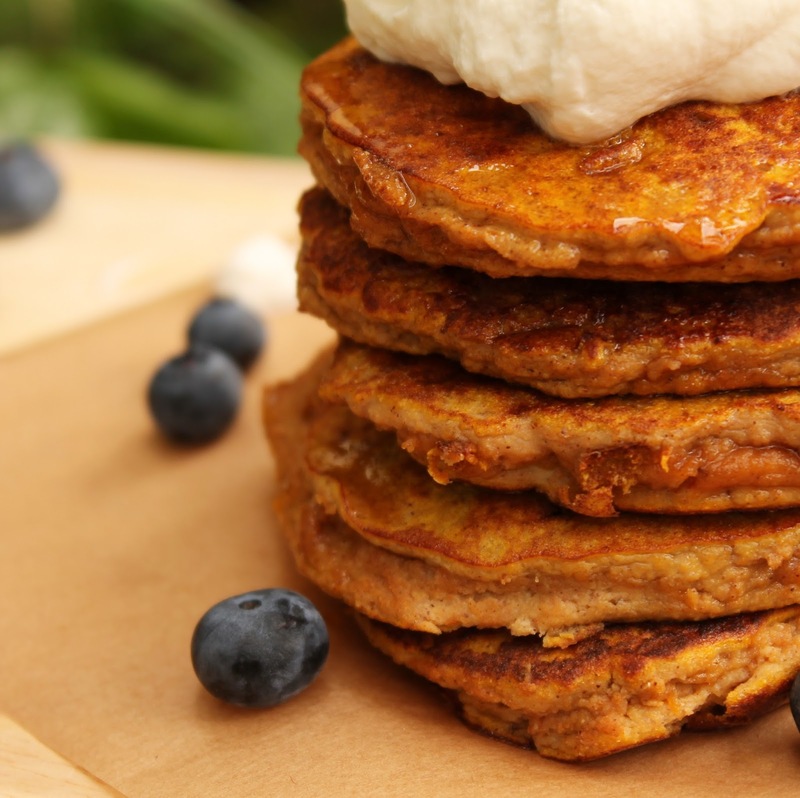 Get the recipe for these grain/dairy/sugar free Pumpkin Tumeric Buckwheat Pancakes here. A July morning in Paris found my sister and me walking through the crumbling magic of Montmartre. Part of Paris set high up on a hill, overlooking the city. The streets are cobbled, most of the buildings a chalky white, the architecture old, much of it worn. Antiquated street lamps and awnings lining the streets and shopfronts. Artists congregate in the center of an area close to Sacre Coeur, selling their work. 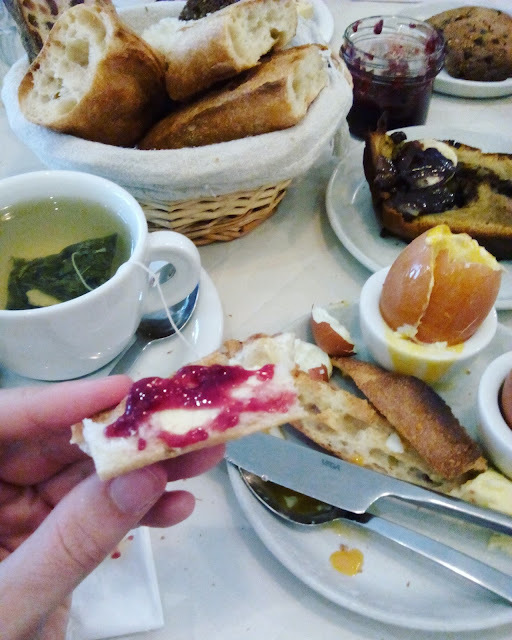 We were in search of Cafe Marlette, which I had read online in prior research as boasting one of the best breakfasts in the city. An offer too promising from which to turn away. The food was homey, down to earth and absolutely delicious. The spread, an expansive feast for the eyes and stomach. We ate soft boiled eggs. Crispy-on-the-outside-soft-on-the-inside hunks of French baguette, a collection of homemade jams and butter at the bread basket side. Gluten free banana bread, a narrow river of chocolate cascading down the middle. Green tea and hot chocolate, steaming from their respective mugs. A spread of freshly sliced meats and cheeses, laid in colorful array on a huge platter. My god. Be still, my breakfast loving heart. The atmosphere was inviting and cozy. With exposed white brick, cushiony seating, the interior bright and charming. The café run, fittingly, by two sisters. You can check out this awesome spot, Café Marlette in Paris, here. 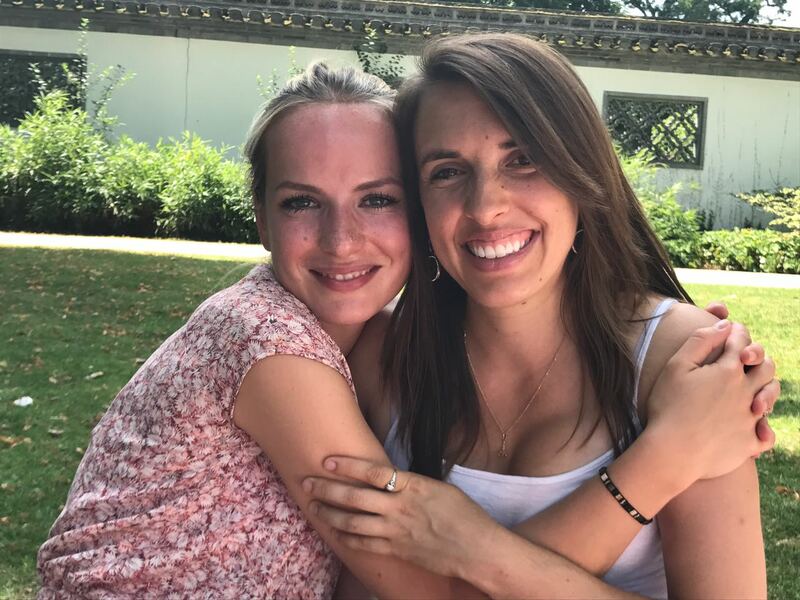 This brunch was a particularly special moment. The mood light, warm and open. 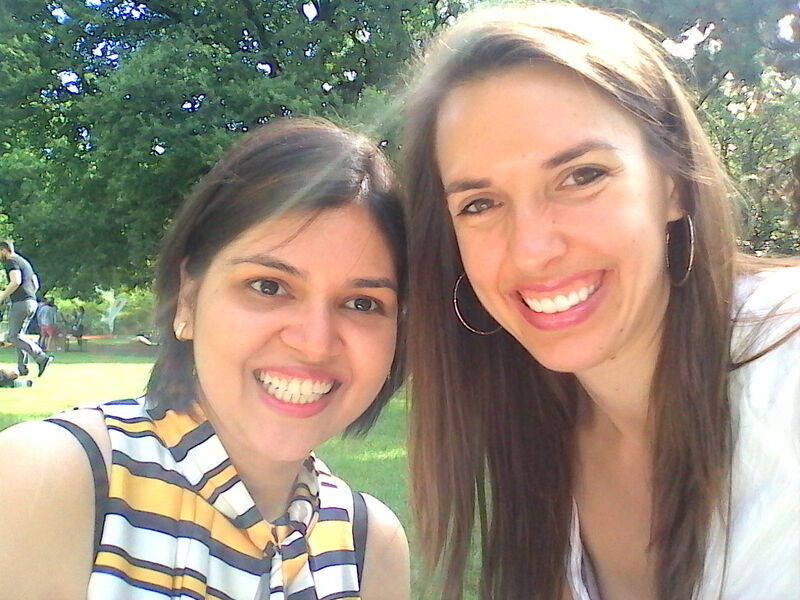 Punctuated by laughter, a sense of truly connecting, and sweet, engaging conversation. A glimpse into the relationship we had previously shared over the first seventeen years of her life. Dresden, Germany on a brisk, gray Sunday morning found me surrounded by a collection of delicate plates, each painted in varying floral motifs. Every one offering up something edible and enticing. Baked beans, swimming in a deliciously sweet smelling sauce. A baby blue plate presenting a stack of lightly tanned pancakes. A handful of sliced bananas scattered atop, rivers of maple syrup running down the sides. A tiny white plate, etched with little pink flowers, boosting a collection of scones. Little pots of thick clotted cream and raspberry jam accompanying. Teacups painted in charming patterns, brightly colored teapots beside. The inside of the cafe like your grandparents stately but inviting living room. Arm chairs and cushy couches beckoning ones sinking into. Bookshelves overflowing. Floral wall paper. Wooden shelves stocked with an assortment of jams, sauces and cookbooks for sale. A display case offering mile high cakes covered in thick swaths of frosting. Blueberry cinnamon. Guinness Chocolate. Their apparently renowned carrot cake. Wooden tables with eye catching carvings running along the legs. Cozy, charming, laid back and lovely. Judith and I spent our meal moaning over the deliciousness of our dishes. 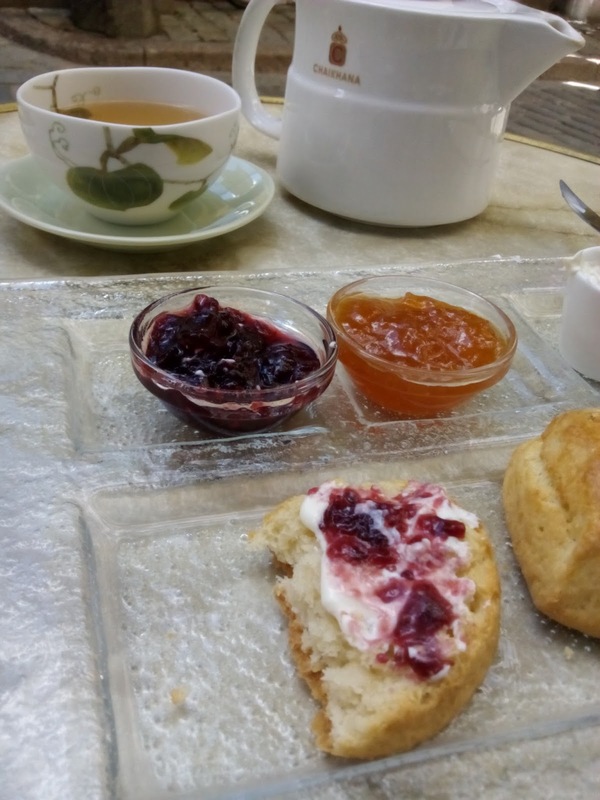 Slathering thick cream and glistening red jam atop our scones, fluffy, crumbly and sweet. Giggling and conversing about relationships and love. I took down a couple books from the shelves, leafing through them briefly, containing myself from diving in completely so as not to be rude to my dining companion. You can check out England, England here. Then there were the Saturday Mornings of requisite "Mighty Goods." 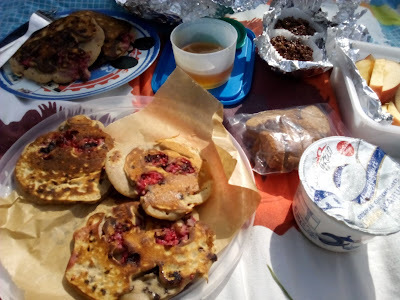 The pancake recipe my mom used to make for my brother and I on weekends throughout our childhood, so well loved that it was faithfully carried along into my own home after college, well over a decade later. This led to routine Saturday mornings with an ex love, chowing down on wafting stacks of these very cinnamon scented pancakes. Oaty and sweet, fluffy and subtly nutty with whole grains. One of us set slathering their stack in smears of peanut butter, topped in a dousing of syrup. The other keeping their pancakes traditional, classic. Piled high underneath a spilling of straight up maple syrup. Heres my own adapted recipe for the famed Mighty Goods. Then there were the Sunday morning breakfasts of childhood. Seated next to my dad at the Capital City Diner in Concord. A gleaming, 50s throwback, train car housed eatery. The two of us across from each other in one of their red cushioned booths. Eggs, toast and bacon for me. My dad with his requisite cup of coffee. There was the breakfast that marked an eating exclamation point concluding a long weekend in mountainous, breezy, pastel colored Salzburg, Austria with Becca. Introverts, insightful and analytical, bookworms, watchful and often reserved, we connected immediately over these shared traits. A sense of understanding and ease blooming between us. After my move to Germany while she remained in Prague, we decided on meeting in Salzburg over a chilly long weekend in March. Brunch was a table scattered full, a mish mash of platters and plates. Scrambled eggs, bacon, croissants, a variety of fruit, a smattering of sliced meats and cheeses, thick hunks of dark grained bread, hot drinks to wash it all down. The conversation particularly engaging and interesting. 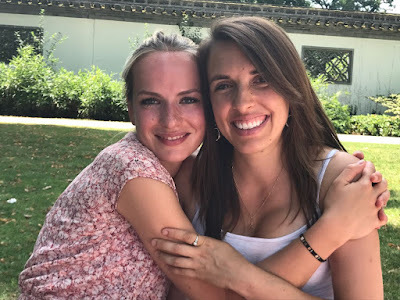 Discussing relationships, our respective lives in Prague and Germany, past loves, books, the current close friends in our lives, future potential plans, our families, covering the lot of it. Moving on, you have the would-be breakfast on the day of leaving, a goodbye and ending. Plates of food sitting between, remain untouched. Steam wafting from their surface, growing cold underneath the saddest of looks. Heartbreak and anger charged in each. Weighted silence. The air heavy with feeling and things unsaid. The same food now scraped into the trash which, on brighter days, had been devoured and fondly anticipated. Then there's routine brunching in Frankfurt with your best guy friend, over croissants, soft boiled eggs in jars, colorful spreads of sliced meats and cheeses in varying cafes over the years living there. Silly stories, the recounting of travel adventures and recent rockin reads perpetually exchanged. Or, your final birthday brunch, picnic style, spent with two of your closest. The two with whom you can be entirely yourself. Drinking green tea (for you) and wine (for them), eating banana pancakes, scones and lemon muffins. 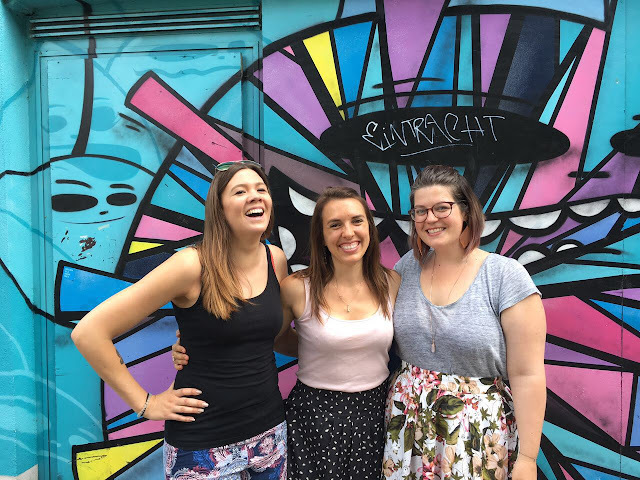 Giggling, gossiping, loads of smiles shared, coupled by looks tinged with the knowledge of shortly impending departure. Reveling in the company of these two fabulous women. And then there's the breakfast with someone new, with whom you feel a surprising, stirring, blossoming potential. Unexpected and unsettling in the most awesome of ways. Eating blueberry lavender pancakes, tucked close in his kitchen. Long, laden gazes and sweet smiles exchanged in abundance. Brunch isn't just a meal. Its experiences. Strings of memories, moments and emotions. Milestones. It can be romantic. Nostalgic. Mouthwatering. Great fun. A social event. A celebration. An ending. Or a beginning.